Did you miss the monumental Fortnite rocket launch? Tyler 'Ninja' Blevins did not, so Shacknews captured the moment from his stream, for posterity. The gaming world experienced the equivalent of a solar clipse, Haley's Comet, and any other rare celestial event one can think of on Saturday. Epic Games teased a one-time only Fortnite event for Saturday morning, pointing to a rocket in the evil lair near Snobby Shores. As promised, on Saturday morning, the rocket launched. The rocket looked to reach the sky without incident, however, it soon exploded. Ninja looked up to find a rift in the sky. 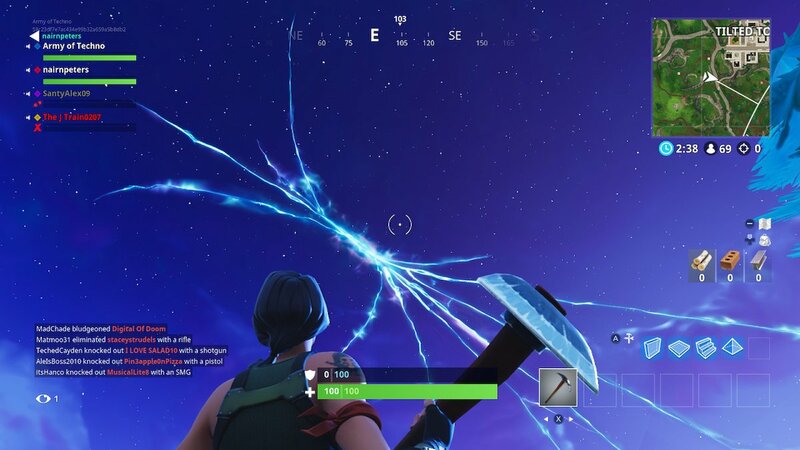 Debris from the rocket is currently literring the Battle Royale map, but the big news is the strange rift in the atmosphere. It remains to be seen what this crack in the sky is and how it will affect the Fortnite world as a whole. There have been teases that this will point to some big changes for Fortnite Season 5, which is set to begin on Thursday, July 12 at 1AM PT. Shacknews will continue to follow this story and will offer any updates as they come in. I feel a lot of love right now.